Join this annual event of Tourism Day on the Hill as the Utah tourism industry descends on Capitol Hill. Enjoy networking with your legislators and the tourism industry with lunch and experiential stations. 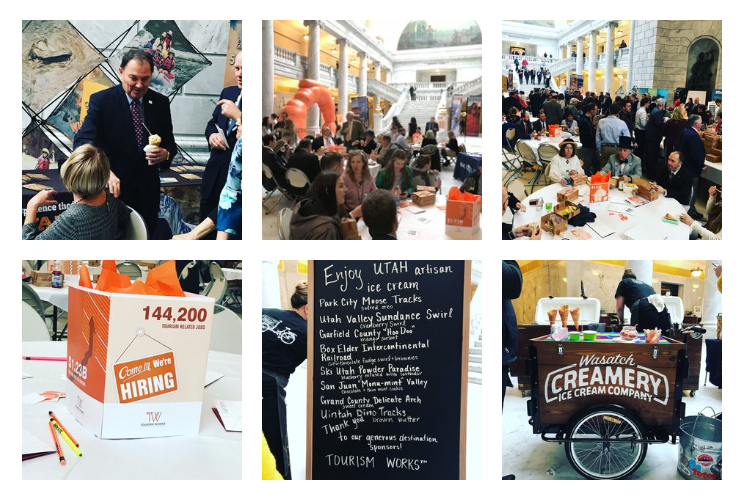 Event presented by the Utah Tourism Industry Association on Friday, February 1, 2019, 11:30 am – 1:30 pm at the Utah State Capitol Rotunda. Registration required. For more information, visit the website.